No registration is necessary! Simply tune into Ōlelo Spectrum Cable channel 53 and Hawaiian Telcom channel 53 and 1053 (HD) to watch. Each subsequent showing is a repeat of the same session. Ramsay Taum is founder and President of the Life Enhancement Institute of the Pacific and Cultural Sustainability Planner at PBR Hawaii & Associates. Mentored and trained by respected Hawaiian elders, he is a practitioner of several Native Hawaiian practices including ho’oponopono, lomi haha, and Kaihewalu Lua. 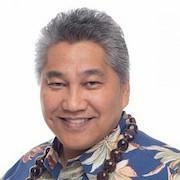 Kumu Ramsay is a sought-after keynote speaker, cultural resource, lecturer, trainer and facilitator. He was awarded the 2013 Peace Day Hawai‘I Peace Maker of the Year in recognition of his lifetime career advocating the spirit of Aloha around the world, in fields of ecology, business, communications, economic development and Hawaiian culture. His work in promoting sustainable place based, and Hawaiian cultural stewardship principles and practices is acknowledged locally, nationally and internationally. What did Native Hawaiians do to successfully live and work together? How can this apply to the future? Join us as Kumu Ramsay explores the practices, values, and principles that enabled Native Hawaiians to live and work together in island communities and how those values, practices, and principles can advance, manage, and inspire positive project management in the present and in the future.